In skillet, brown beef with garlic and onion. Add seasonings, vegetables, and rice. Mix well and drizzle with a little olive oil. In large pot of boiling water, par boil peppers for three minutes or less until peppers are bright colored. Drain well, place in casserole dish. 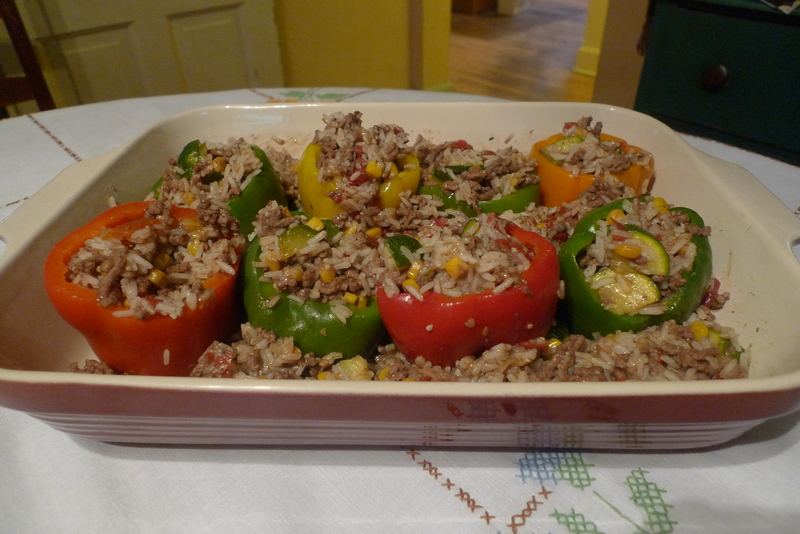 Stuff peppers with mixture, surrounding peppers with any extra rice mixture if desired. Bake at 350 degrees for 40 minutes. Sprinkle with cheese and bake for 5 more minutes. Remove from oven and let stand for 5 minutes before serving. 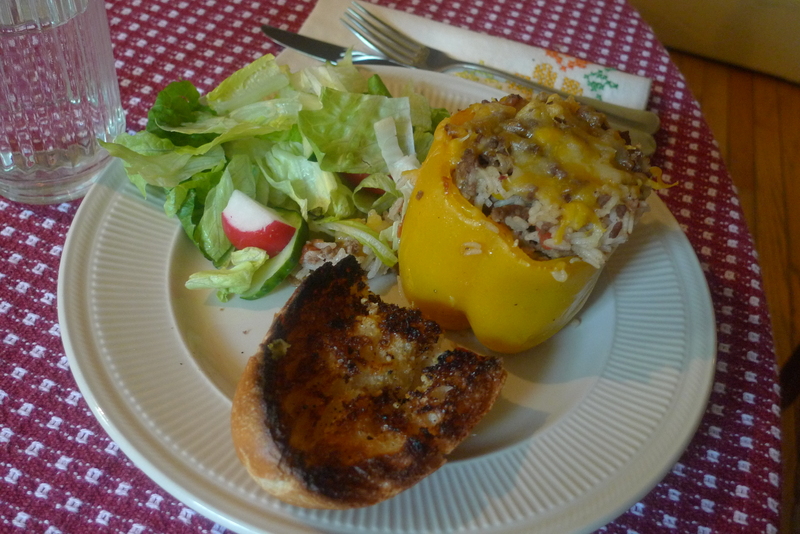 Delicious served with garlic bread and green salad. thatmom’s Mexican stuffed peppers: Replace Italian seasonings, salt, and pepper with 1 package taco seasoning, 1/2 cup choped cilantro, and a can of black beans, drained. Top peppers with sour cream and guacamole before serving. Extra rice mixture can also be served the next day with tortillas. For extra kick, add a bit of crushed red pepper flakes or hot peppers. This basic recipe makes 8 servings depending on the size of the peppers. Try using any variety of vegetables to increase the daily servings of veggies for your family.